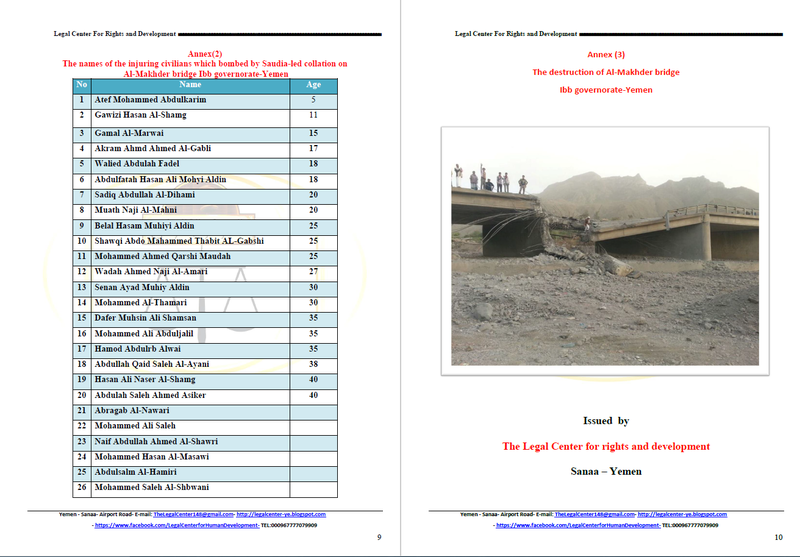 This is a war crimes diary set up to document war crimes being committed by the Saudi led coalition airstrikes on Yemen. 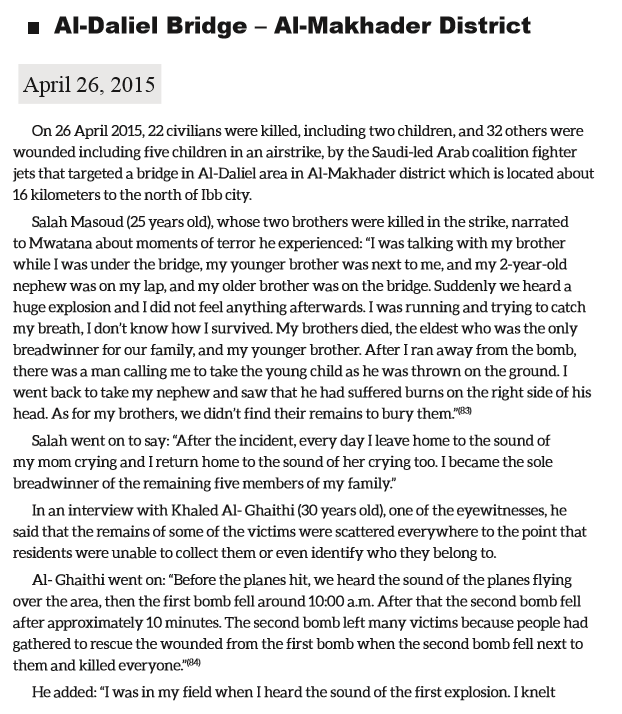 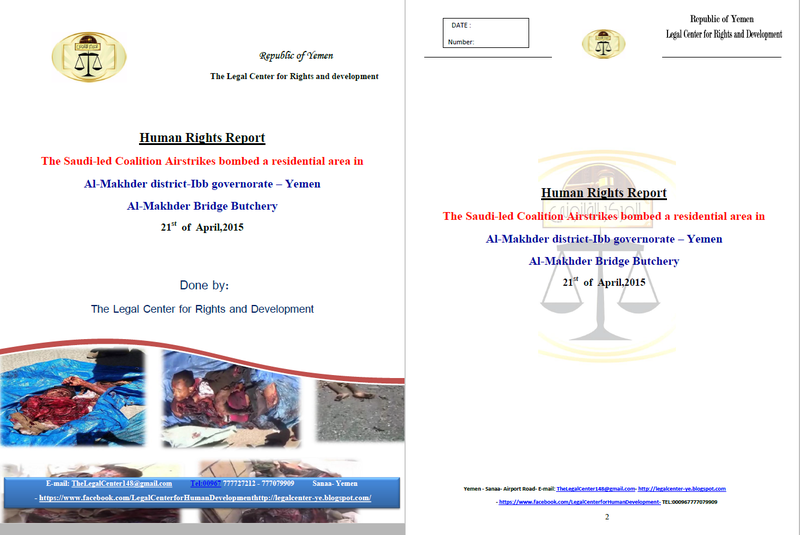 On the 21st April 2015, the Saudi led coalition airstrikes targeted a Al-Makhder / Al Dalil Bridge in Ibb governorate, killing many civilians who were travelling along the road. 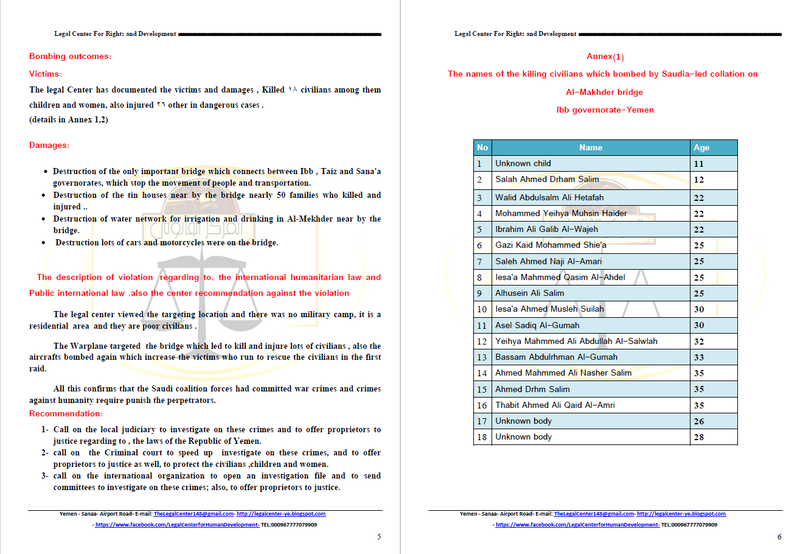 The following video states that medical representatives claimed that there were 24 bodies many of which were too disfigured to identify, plus another 30 wounded, 20 of whom were lightly wounded and 10 of whom needed surgery, out of which 6 of which were in a critical condition. The crowd interviewed stated that they do not harbour hidden arms nor Ansar Allah militias. WARNING: the following video and photos are graphic and distressing. 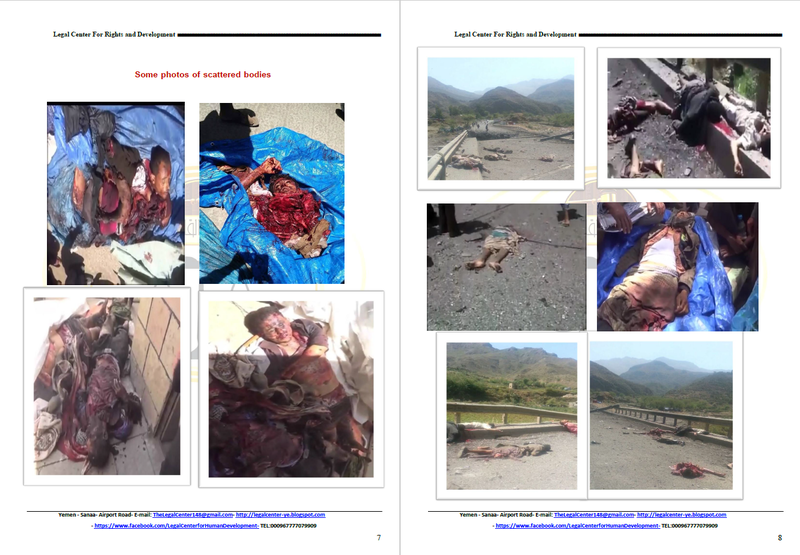 They are put here as evidence to call for a UN independent investigation and to call on Western countries to honour the arms agreement and stop the supply of weapons to Saudi Arabia. 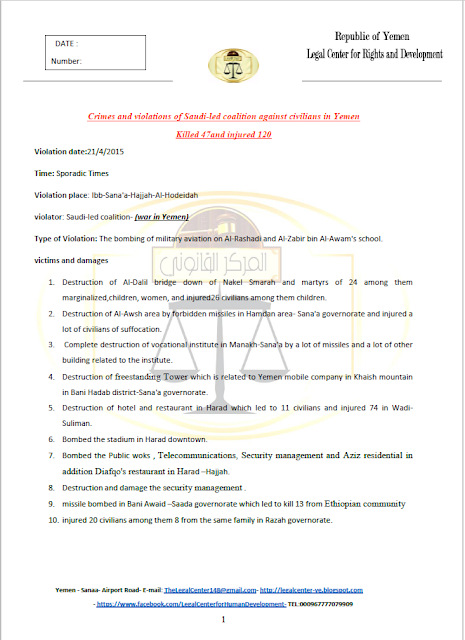 The following report initial report by the Legal Center for Rights and Development states 24 dead and 26 injured. 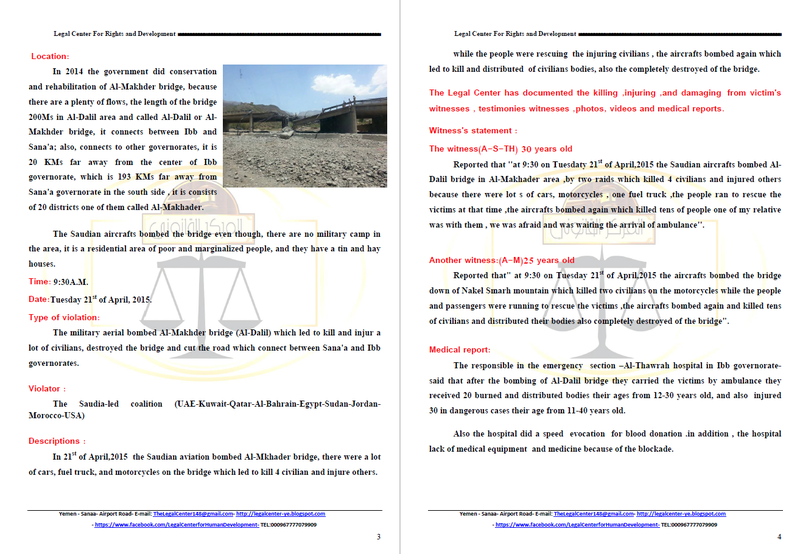 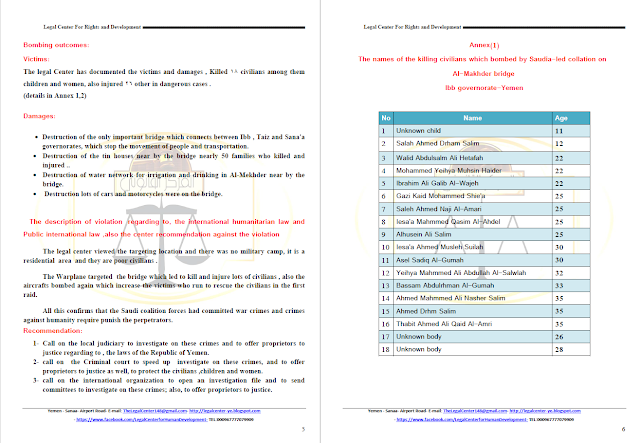 The following more detailed report by the Legal Center for Rights and Development includes details of 18 people found dead on the bridge plus 26 injured. 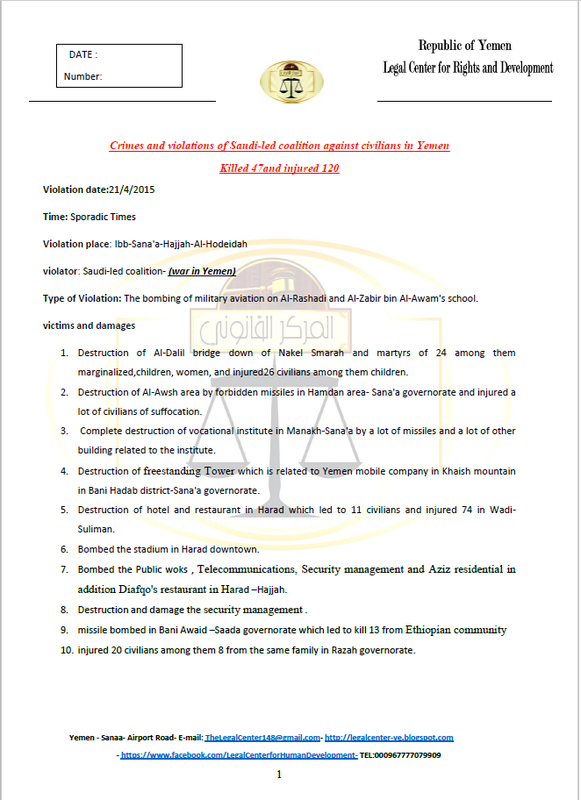 Witnesses also state that the jets came back a second time to strike those involved in rescue efforts which resulted in many more deaths and injuries than would have been otherwise.